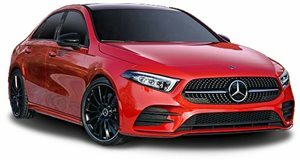 Mercedes-AMG recently revealed the new A35 sedan, based on the A-Class but with a more powerful engine. It's the same that powers the new CLA35 four-door coupe. But now it's revealed another variant at the Shanghai Auto Show. Exclusive to the Chinese market, the A35 L 4Matic is a longer version of the little sedan we get in America, stretched by six centimeters (a little over two inches) to provide more rear-seat legroom so coveted by customers in the Middle Kingdom. It's also produced locally by the Beijing Benz joint venture, with an engine built by AMG in Germany. 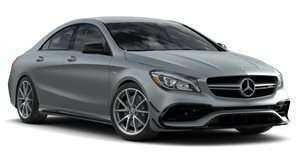 As with the regular-length A35 sedan, A35 hatchback, and CLA35, the 2.0-liter turbo four produces 306 horsepower and 295 lb-ft of torque, channeled to all four corners though a seven-speed dual-clutch transmission. Due to the extended size, 0-62 is quoted at 4.9 seconds (instead of 4.8 for the standard-size sedan). Top speed remains electronically limited to 155 miles per hour. The upgrades to the suspension, body shell, and interior carry over, as to the aesthetic and aerodynamic enhancements apply, with the 19-inch available as an option on the US model fitted to the stretched Chinese version as standard. The major difference comes down to size: where the standard version rides on a 2,729-millimeter (107.4-inch) wheelbase, this version's stretches to 2,789 mm (109.8”). That not only means more room inside, but a slightly larger trunk as well, expanded from 420 liters (14.8 cubic feet) to 430 liters (15.2 cubic feet).